Vladimir Putin and his team in Moscow are leaving nothing to chance. As NATO begins the deployment of troops to Eastern Europe, Russia is doing all it can to upgrade its defense equipment and facilities. 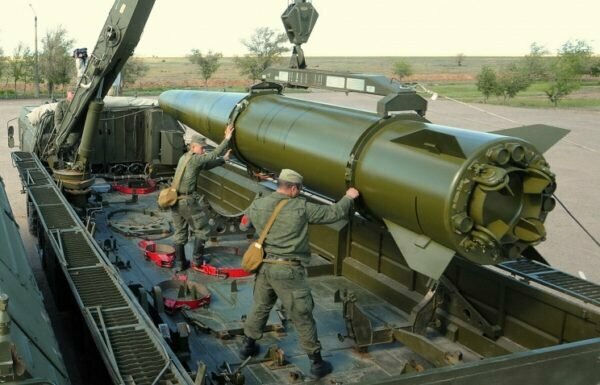 Even before the arrival of NATO’s troops to the European eastern front, Russia had already deployed nuclear-capable missiles, known as 9K720 Iskander, to its western-most region bordering Poland and Lithuania. As Russia continues to call the bluff of Western operations in Syria – hitting hard on the United States’ backed-rebels – there are fears that the next global conflict is lingering on the horizon. Some observers have said Cold War II has already begun. To prove to the world that Russia is determined to stop any country from interfering with its interests, the country has made their super-nuclear weapon public. This fearful weapon, known as the RS-28 Sarmat missile, is dubbed Satan 2. 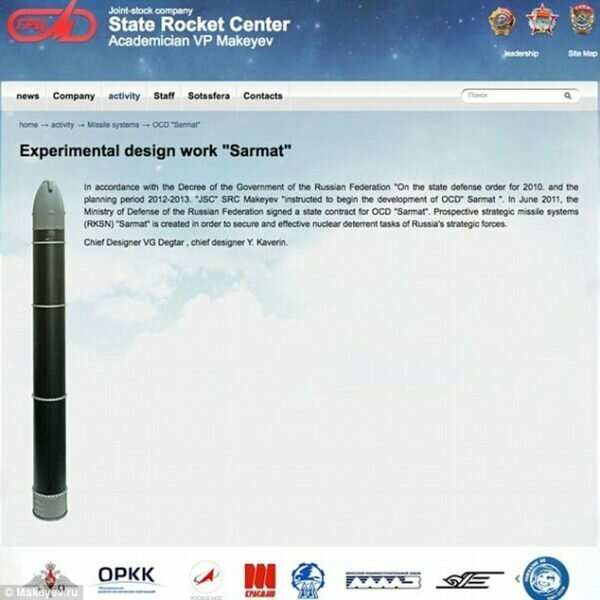 According to Russian defense officials, Satan 2 will replace the SS-18 that was developed in the 1980s during the Soviet era. According to statistics on Satan 2, it travels at 4.3 miles (7km) per second with a range of 6,213 miles (10,000km). 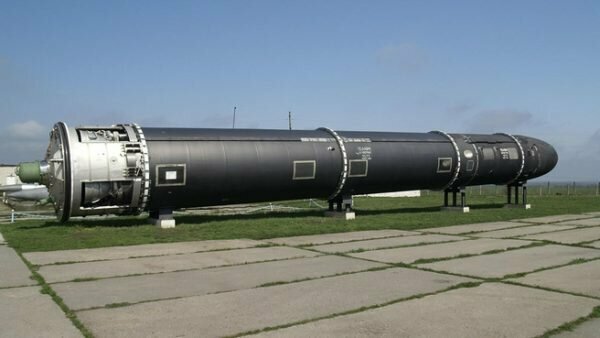 The Russian defense news network, Zvezda, reports that the weapon contains 16 nuclear warheads, which are capable of destroying an area the size of France or Texas. The range of Satan 2 also permits for an attack against London and other major European cities, as well as the east and west coasts of the United States. It is likely dubbed Satan because of its capability to deliver a warhead of 40 megatons – 2,000 times more powerful than the U.S. Air Force bombs dropped on Hiroshima and Nagasaki, in 1945. The weapon also has the capability to evade radar. At the moment, there are no known anti-missile shield systems that could stop Satan 2, making the weapon particularly dangerous. Observers say this latest weapon is a big headache for all NATO members. Dr Igor Sutyagin, an expert in Russian nuclear capability at the Royal United Services Institute in London, told MailOnline in an interview that NATO missile defense systems, which are currently being deployed in Eastern Europe, like the Aegis Ashore, cannot match Satan 2. The Russian Defense Ministry plans to put Satan 2 into service in late 2018. It will then remove the last SS-18 by 2020. Currently, Satan 2 is undergoing testing near the city of Miass, Chelyabinsk Oblast. After the tests, officials will file their report to the defense ministry, which will be subsequently forwarded to the Kremlin for review. It is said the Kremlin has tasked its defense engineers to develop super-weapons to ensure maximum security of the country. Before the unveiling of Satan 2, the Russian military acquired a para-drop air defense complex in early October 2016. The para-drop air defense complex is an air-droppable missile defense system for airborne forces. It ensures that after landing, troops have the means to secure the skies and prevent inbound airstrikes. The Russian Armed Forces is the first in the world to have access to the para-drop air defense complex. The complex was developed by the country’s defense engineers. 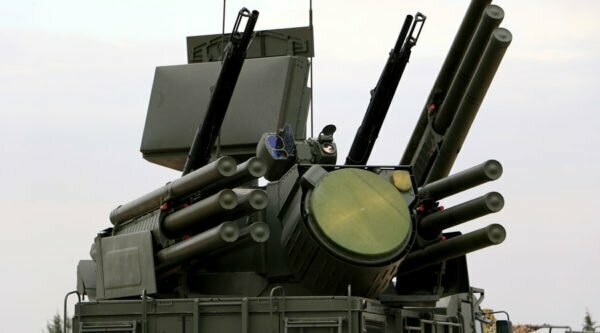 With this weapon, Russia’s airborne troops will have the means to effectively establish local no-fly zones with the help of a mobile crawler-mounted Ptitselov (Fowler) air defense complex, a hybrid of the well-known Pantsir-S1 (NATO designation SA-22 Greyhound) cannon-missile system, which is mounted on an air-droppable BMD-4M armored vehicle.